The personnel consultancy Vienna unites consumer electronics, furniture and furnishing industry. This competence center covers the areas of brown and white goods, small appliances and photography, IT hardware, accessories and lighting as well as all areas of furniture and furnishing industry. The Viennese location is managed by our Managing Director Marcus Christopher Schulz. From there he is available as a personnel consultant to clients throughout Europe to fill management, as well as specialists positions. The consulting of the clients includes the optimization of the position description and the identification of the best candidates by professional Direct Search in our network and extensive research in our own databases. Vienna regularly ranks in the top ranks when it comes to the world's most attractive cities. In the current Mercer study, Vienna has been named the city with the highest quality of life in the world for the eighth time in a row! Reasons for this are, for example, the quiet political and social situation, a good education and housing offer and the attractive leisure facilities in the city and the surrounding area. But above all, Vienna is and remains a hotspot for art and culture. The second largest German-speaking city - home to world-famous composers, painters, writers, designers and architects - scores points with a unique blend of history and modernity. The unique location in the heart of Europe, in close proximity to the Central European metropolises, makes Vienna an attractive location for top employees and companies. "The war for talent is over - the talents won"! For these reasons, the personnel consultancy DELTACON Executive Search & Recruiting GmbH should not be missed here! In 2017 DELTACON Executive Search & Recruiting GmbH was founded in Vienna. The managing director is Marcus Christopher Schulz, who is responsible for the sectors "Consumer Electronics, Furniture and Furnishing Industry". 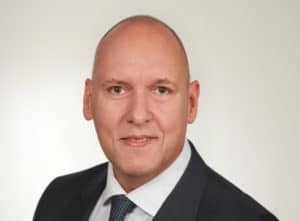 The Wien-Linz-Graz triangle is also looked after from the Vienna location and in the west of Austria Marcus Christopher Schulz has an optimal network due to his many years of professional activities. Salzburg and the regions of North, South Tyrol and Vorarlberg convince with innovative companies, a high quality of life and an unparalleled range of leisure activities. The countries Czech Republic, Slovakia, Hungary, Slovenia and Italy are direct neighbors and are also part of the catchment area of ​​ DELTACON Executive Search & Recruiting GmbH Vienna.